What are A-rated energy efficient windows? Classic's ranges of energy efficient windows are window types that will help your home conserve as much heat as possible whilst keeping out both rain and wind. They also allow natural heat from the sun to pass through the glass and keep condensation levels to a minimum. 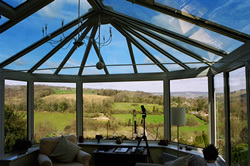 Energy efficient windows are suitable for use in all pvc-u, timber and Aluminium types of frames. 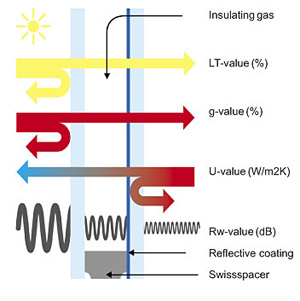 This illustrates how sunlight is allowed to pass through the pilkington energikare window and conserved as natural heat indoors. 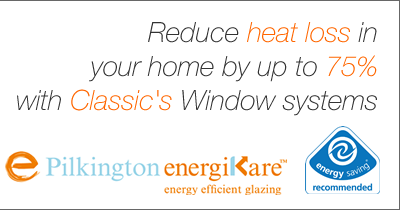 Why choose energy efficient windows from Classic? Two good reasons. Save money and save the planet! Firstly, saving money on your heating bills. If you have either single glazing or double glazing windows installed before 2002 you could be losing more heat through your windows than you realise. 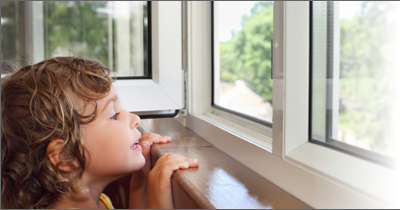 By simply installing an energy efficient window system can reduce heat loss through your windows by up to 75%. Fact! Secondly, saving the planet. As installing energy efficient windows reduces heat loss in your home, this in turn also reduces the amount of fuel you will use heating your home. Therefore, generating less carbon dioxide into the atmosphere (reducing your carbon footprint). Create a comfortable stable temperature in your home via having less draughts, cold spots and heat loss. Gain peace & quiet from unwanted outdoor noise through increased sound insulation. 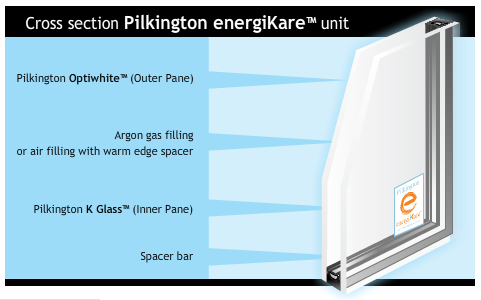 Pilkington K Glass™, is the UK's best selling low emissivity glass which helps conserve heat within your home. Pilkington Optiwhite™ is a special 'extra-clear' type of glass. 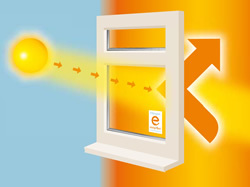 It increases the degree of solar heat gain and makes home feel warmer without the need to turn up heating. Filling the double glazed unit with argon gas or using air filling with a new "warm edge spacer bar" stops further heat escaping from homes. All our window ranges are available to purchase with either Pilkington Energyikare classic (C-Rated) windows or A-Rated window systems. You can choose from a range of upvc tilt & turn, aluminium frames or vertical sliding (sash) windows. With over 20 years experience, let Classic source the right product to suit your home. uPVC wood grain or white double glazing can deliver the same trouble-free years of service as well as giving a modern touch to your home. Greater comfort, better insulation, minimal maintenance, aesthetically pleasing appearance and enhanced security. Provide extra comfort and practical features for modern living, without any compromise to the character of your home. Getting a quote for an energy efficient window system in your home can reduce your heating bills significantly! Contact Classic via the telephone number or email address below. We have a huge range of window types, frames and sizes to suit your home. What are you waiting for? Energy efficient window suppliers such as Classic will have a BFRC (British Fenestration Rating Council) window rating label. The BFRC window rating is based on a scale of A-G ('A' being the most efficient window rating and 'G' being the least efficient) This scale is very similar to what you will find on many electrical products these days including, fridges, washing machines etc. indicating power consumption. 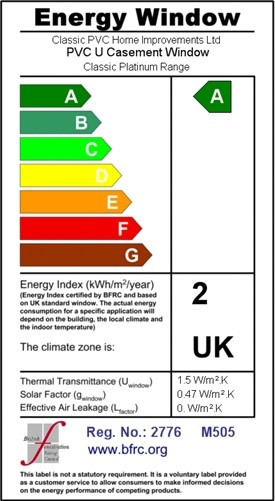 The BFRC window energy rating label contains all the necessary factors which calculate the overall energy efficiency of a window. Click here to view the energy ratings for Classic's energy efficient window systems on the official BFRC website the UK’s national system for rating Energy Efficient Windows. Resisting the build up of condensation in your home. This is a measure of heat loss. The lower the number, the better the insulation. A measure of light transmission. The higher the LT-Value the greater the amount of solar light transferred into your home. This is a measure of free solar heat. The higher the G-Value, the greater the free solar heat admitted into your home. A measure of noise reduction. The higher the RW-Value, the better the noise reduction.